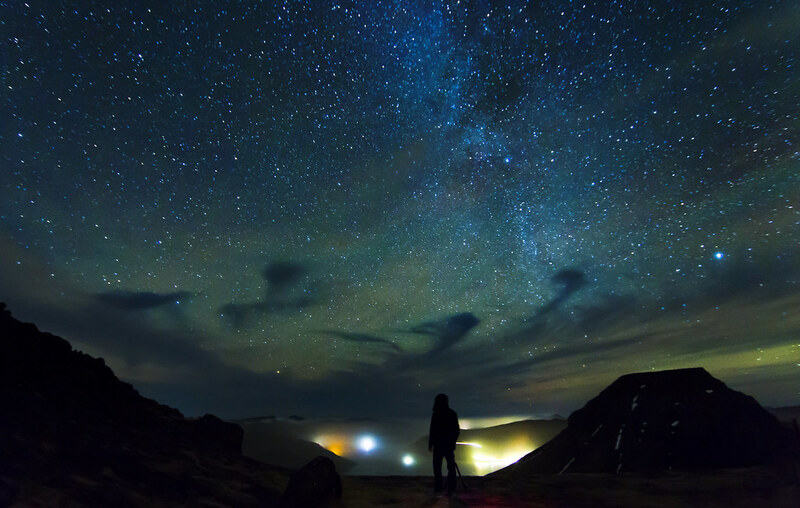 Are you ready to learn the ins and outs of astrophotography? Photography enthusiasts and even professional photographers usually take their cameras out during the daytime. It’s quite easy to get your shot just right with all that light to illuminate your subject and prevent noise or blurry pictures. During nighttime, however, things get more complicated, and one might end up wrapping its head around all the camera settings and specialized equipment designed to help astrophotographers capture the treasure-holding night sky. 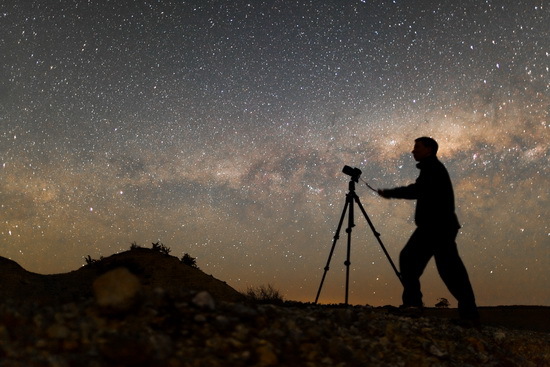 Our useful tips and tricks are just enough to get you on track on your journey towards mastering the art of astrophotography. Afterward, you’ll be shooting for the stars in no time. Literally. Don’t worry about your gear being too modest or your knowledge on the subject quite vague. The astounding world of astrophotography is open to anyone with a keen interest in the celestial bodies that shine through the deep sky. Persistence and patience are keys to developing the skills needed to embrace astrophotography as an expert. Photographers specialized in capturing astronomical objects have spent hours under the mysterious dark sky until they got that one perfect first shot. You’ll get frustrated, and you’ll most likely experience obstacles like bad weather and camera breakdown, but in the end, astrophotography remains one of the most gratifying forms of photography. Astrophotography is a term used in photography to name the process of taking pictures of astronomical objects. It can mean anything from stars and planes to nebulae and galaxies. It’s quite an easy hobby to get into on a simple level, yet can become hard to master at a more advanced level. Astronomy enthusiasts tend to pick up astrophotography as a way to improve their stargazing session. Believe it or not, being skilled in some photography techniques actually allows for a better viewing of the night sky. It’s true – a good lens might just surpass that expensive telescope you’ve had your eye on. Photography is about capturing photons, the light particles that form a picture. The more photons you get in your shot, the brighter your final image will be. When it comes to getting those photons on camera, the key players are exposure and ISO. Exposure will dictate how light or dark your picture will end up being. Achieving just the right exposure can be tricky. You don’t want too little – because your photos will end up too dark, underexposed – and you definitely don’t want too much – because you can’t really fix an overexposed picture. The amount of time you allow your camera to pick the photons defines exposure. Long exposure is vital for those keen on astrophotography because the camera will be able to pick up the finer details hidden to human eyes. However, long exposure images require a tripod. You need your camera to remain very still. Moving on to ISO, it is basically the name given to the measurement of the camera’s sensitivity to light. You are probably familiar with the term because it can be manually adjusted even on point-and-shoots and some smartphones. Amateur photographers might think they have the setting under their control, but keep in mind that astrophotography is a difficult form of photography. ISO settings are typically from 24 to 6,400, but can get higher. The numbers are in direct connection to your camera’s sensitivity to light. In simpler terms, the lower the number, the less sensitive it will get; and vice versa. As you would expect, in astrophotography, we use high ISO because the low light conditions outside are not in our favor. However, if the ISO is set too high, you’ll get that awful “noise” that will ruin your photo. The beautiful thing about astrophotography is that it can be done with just about any camera, but adding a telescope to the process will work wonders to your advantage. But if you’re looking to get excellent, professional photos of celestial bodies, be prepared to invest quite a large amount of money. Think about the funny pictures of photographers literally buried under camera backpacks, “tank” lens, flashes, tripods, and what not. You will probably end up looking like one yourself. But what’s wrong with that? If acquiring astrophotography equipment will pave the way to your becoming a pro in the art of shooting the stars and enjoying the unique feeling fulfillment when you see your pictures on the computer’s screen, then take note. There are two types of cameras you can use for your astronomical shots. First, we have the dedicated Cooled Astronomical CCD Cameras. Then, we have the standard DSLR cameras, and chances are you already have a Digital SLR. CCD cameras are made especially for scientific and imaging purposes, being cooled to reduce noise. They are typically used through a telescope, but you can buy adaptors and use camera lenses on it for wide angle shots. Choosing to go with a CCD camera rather than a DSLR is the best option because it produces higher quality images. It really is the best camera for astrophotography. However, they can get highly expensive. DSLRs offer great versatility thanks to the complete control you have over aperture, ISO, and shutter speeds. You can attach a DSLR camera to your main scope and take long exposure pictures of the deep sky. The removable lenses can be set aside to allow an adapter to hook up your camera directly to the main scope. This way, the telescope will act as the camera lens. 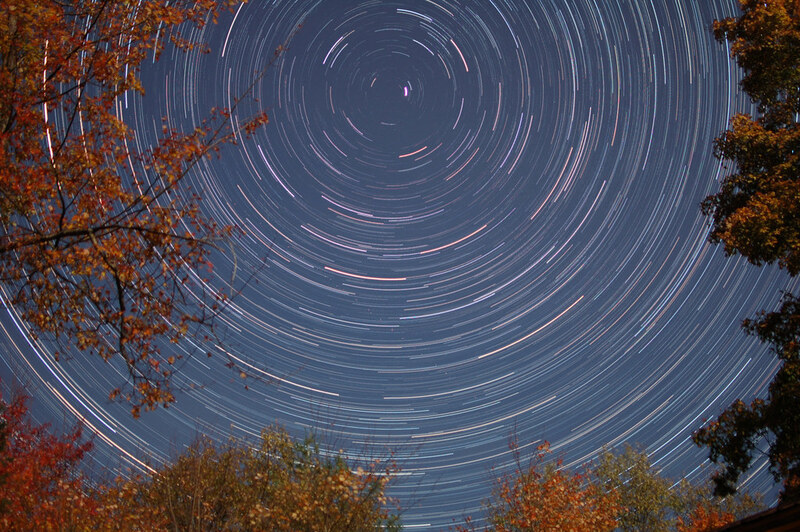 Snapshot cameras and webcams can also be used for astrophotography, as silly as it may sound. Needless to say, we do not recommend you take this option seriously. After all, you want your pictures to be flawless, whereas these devices just don’t work for longer exposures for night sky imaging. An accurate and steady mount is vital to your telescope. A good mount will get the telescope to match the rotation of the Earth, which will make a big difference, especially when taking pictures of faint galaxies. There are two types of telescope mountings: equatorial and non-equatorial. An equatorial mount has one axis aligned parallel to that of the Earth’s rotation, pointing at the North celestial pole or at the South celestial pole. To compensate for the rotation of the Earth, both mount and telescope are moved in this axis. This is known as the polar axis. The second axis is the declination axis, allowing the movement of the telescope at right angles to the first axis. Because of the circulation of the two axes, you can aim your telescope at any part of the night sky. Once you target on your subject, the axes lock down. Only the polar axis turns to find the object. Non-equatorial mountings also have two axes that let you point the scope in any direction. The difference is they require movement in both axes. Let’s talk figures. Cheaper mountings are available, but you might outgrow them quickly. A good mount will ease you of about $1,500, but it’s a long-term investment. An excellent mount will not go lower than $10,000. It’s quite obvious you need a telescope if you take astrophotography seriously. The bigger the scope, the more it will bring to the table. However, one might find that a big refractor only works for big nebulae and galaxies and that a second smaller reflector is needed because it is more suitable for faint nebulae and smaller galaxies. Here’s what a starter, small telescope can do for you: see the craters of the Moon, the rings of Saturn, the crescents of Venus, just to name of a few. A decent telescope will cost at least $300. It’s hard to pinpoint the best telescope for astrophotography, but you might want to look into the following: Celestron EdgeHD 11, Celestron EdgeHD 8, Telescope Engineering Company 160FL, and Tele Vue NP101IS APO. The guidescope will work with your telescope, mounted on top or side-by-side with it. It’s cheaper and smaller than your main scope. The device lets astrophotographers choose a guidestar up to a few degrees from the area being photographed. The autoguider ensures that the mount stays focused on your subject, from a star to a star cluster. Just as your telescopes gets to have a guidescope, the latter will be fit with the autoguider. It will force your mount to fix onto a star or a galaxy and keep the position indefinitely. Field flatteners are dedicated lens for the telescope. The need for a field flattener comes as the refractor has an inherent issue in its curved lenses. You will notice that if you use a scope without field flattener lens, the objects located towards the edge of view appear elongated. This comatic aberration is corrected using a field flattener lens between the telescope focuser and your camera. This type of software allows users to control their camera settings using the computer. With a single USB-2 cable, you can control all functions and also live-view your image on the computer. Image Acquisition Automation software helps you shoot many short exposures without having to waste precious time doing it manually. Instead, just program the software to get as many exposures of as many minutes, and with pauses of as many seconds as you wish. You can’t get it wrong once the process is automated for better precision. Autoguiding software is a great tool to use to guide you when shooting long exposures. GuideDog, for example, uses your camera to autoguide the telescope for accurate guiding and following of the star. Image calibration software is designed to remove unwanted fixed signal and provide correction for signal modification. This way, the raw image will accurately represent the intensity of photons incident on the camera’s sensor during the exposure. Your DSLR camera should include an image processing software within it, but this software will only work during daytime shooting, and cannot be used for calibration. That’s why you should get an image calibration software such as Images Plus, AstroArt, or Deepsky Stacker, just to name a few. It seems like there’s no escaping Photoshop, even in astrophotography. Photoshop filters and actions correct your photos once you get them on your computer. For example, there’s a significant change you’ll get some noise in your pictures, but this software will reduce it so that your images end up as neat as possible. Now that we have gone through the principles of astrophotography, the equipment, and the software you need to get started on your journey, let’s put this knowledge into practice. Once the mount is set up on your telescope, you will proceed to focus on a bright star. Then, you must move the telescope and/or the camera’s lens to point at your subject. What you usually experienced during your time shooting will most likely not apply in this field of photography. Daylight or evening photography is quite different from the pitch black sky filled with very faint targets that require prolonged exposure. Once you focus on your deep-sky object, just get many long bulb exposures with your computer or the time shutter release. As an astrophotographer, you will break the long exposure into short ones (up to ten minutes) and then average the short-exposure pictures on your computer using dedicated software to combine signal. Your result will be a photo which appears to have been done using a very long exposure. You should only use RAW images. RAW images allow for more post-processing, such as chromatic aberration or sensor noise reductions, and they also contain more data on the photons collected. Noise is a big issue when it comes to low light photography. Noise is not only unaesthetic, but it also destroys the image data. Shoot at the lowest ISO possible and try to obtain those long exposures at the widest aperture. Your RAW image data will then be processed using Adobe Photoshop, Adobe Camera RAW, Adobe Lightroom, or whatever software you prefer. Always zoom on your pictures to view all the details and see the dead pixels that need to the eliminated. Using curves and levels you can adjust the image’s contrast, and also minimize the noise. The more expensive the camera, the less stressful the editing process will be.